Although there are multiple ways to restore a file that you may have accidentally deleted, using a Restore Point to do it is not a very well-known one. Still, if everything else fails or if you simply want to try out a new way of file recovery, then you have nothing to lose by trying this. The good thing is that if you do manage to find the files you are looking for, they will be preserved exactly as you left them. 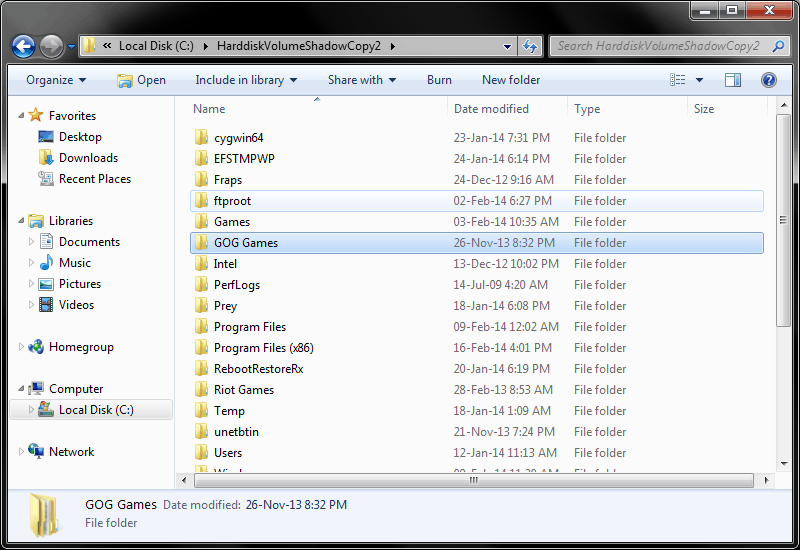 However, finding them is not always possible as the Restore Point images were not made with this feature in mind. 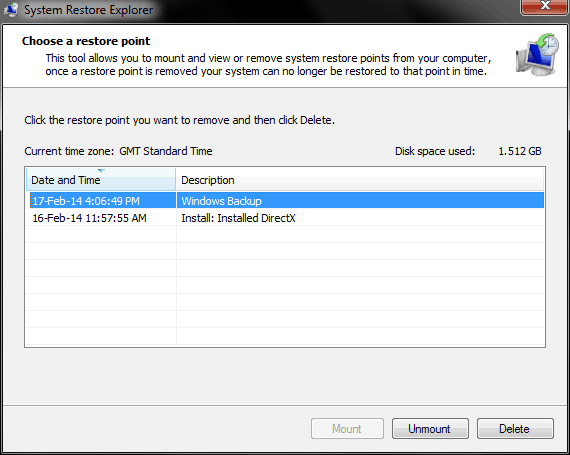 First you will need to download System Restore Explorer. Installing it is easy and it is adware and bloatware free so you can rest easy. Using it might be even easier. 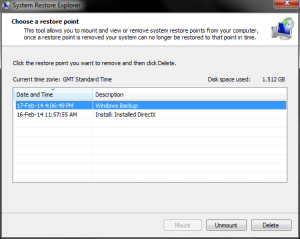 You simply select a restore point from the list, press Mount and then you browse through it with Windows Explorer. You can then take any file from the Restore Point and move it in your computer. The opposite does not work, although there aren’t a lot of reasons to do it anyway. You just need to keep in mind that if you want to preserve the file in the Restore Point shadow copy, you need to copy and not cut the file from it. When you are done, you can unmount the drive and everything will be back to normal, just like that.